Once summer rolls around, you'll find us outdoors most of the time. Whether we're out in the yard or at the beach, we can't get enough fresh air! My husband and I love entertaining, and summertime is the perfect reason to move our gatherings outdoors. But hosting guests with little ones can be tricky, so I've had to learn some tricks to keep things stress free and running smoothly. 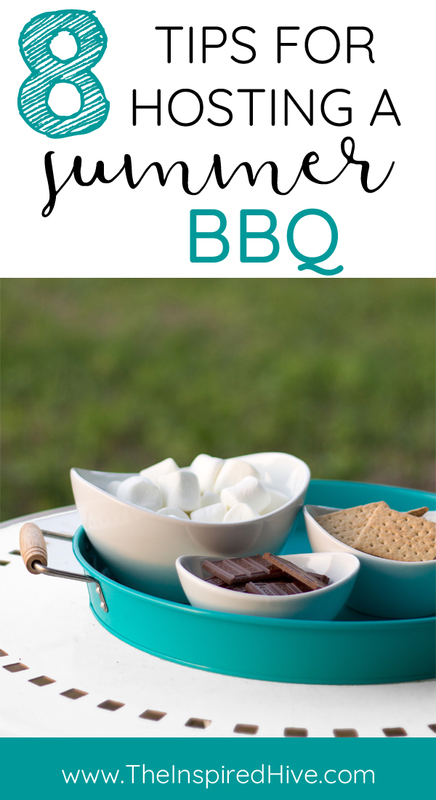 Kids or not, these tips are great for anyone planning a BBQ or outdoor party. 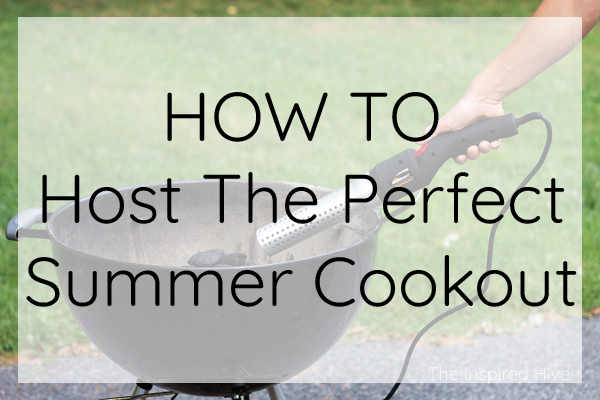 Here's some easy BBQ hosting ideas and time saving methods for your next summer cookout! Be prepared. 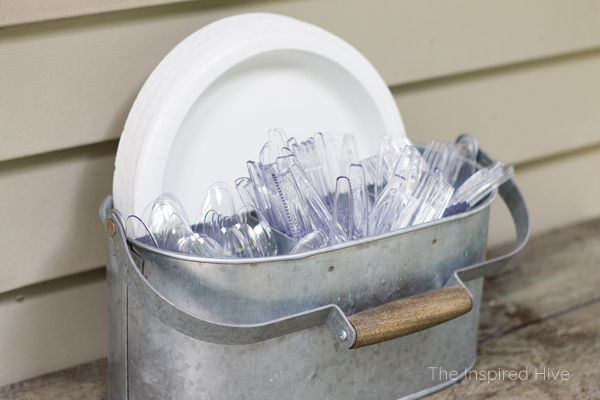 I keep a utensil caddy stocked with plastic silverware and paper plates. If we decide to have family or friends over for a cookout at the last minute, I'm already prepared for a disposable and mess free meal. I just grab the caddy and bring it outside. Set up a drink station. 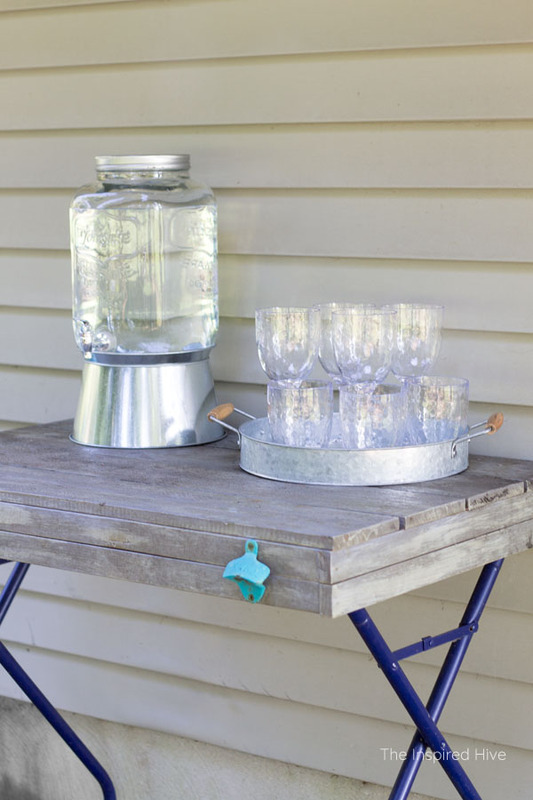 Several years ago, I made a simple outdoor bar cart that is perfect for entertaining. A small table is great too. Use a tray to hold glasses (melamine is great for outdoors!) or disposable cups. If you are having a large crowd, leave a marker in the tray for writing names on cups. 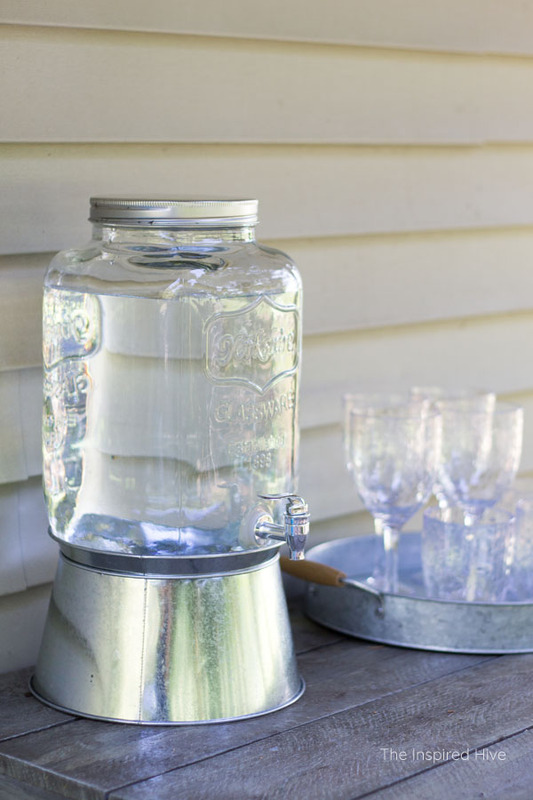 I have a few different sized glass beverage dispensers (super affordable at HomeGoods!) so that I can choose a size based on how many people I am planning for. If it's a small crowd, a pitcher works fine. I usually fill the dispenser/pitcher with ice cold water, iced tea, or lemonade - something refreshing that almost everyone will like. If it's a less casual gathering, you can add sliced fruit to add some color to your dispenser. I also usually leave a cooler right underneath the bar cart for keeping canned or bottled beverages on ice. Add some ambience. 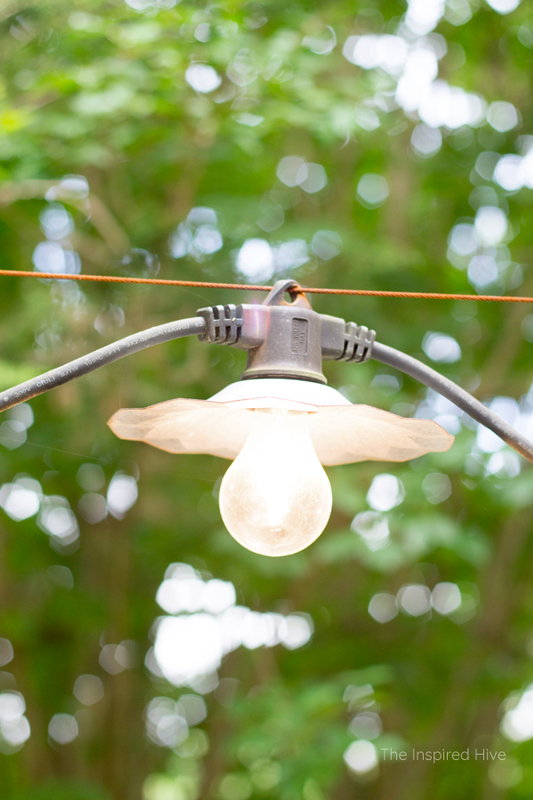 Outdoor string lights are an easy and affordable way to spruce up your yard for entertaining. We have a wire permanently hooked to the house and a tree, and the lights run along the wire. Use a portable speaker or outdoor speaker to add some low background music. Choose a popular genre that will make anyone feel comfortable! Prevent bugs. 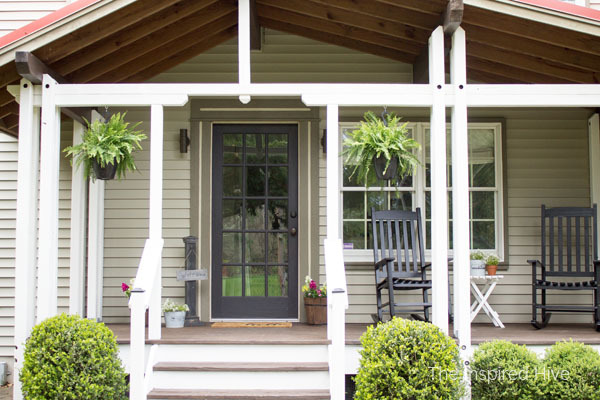 Spending time outdoors can quickly become no fun if flies and mosquitoes are attacking! We have our yard professionally treated with an ecofriendly pesticide each spring to cut down on bugs. Tiki torches and citronella candles are also a great way to deter bugs from the immediate entertaining area. 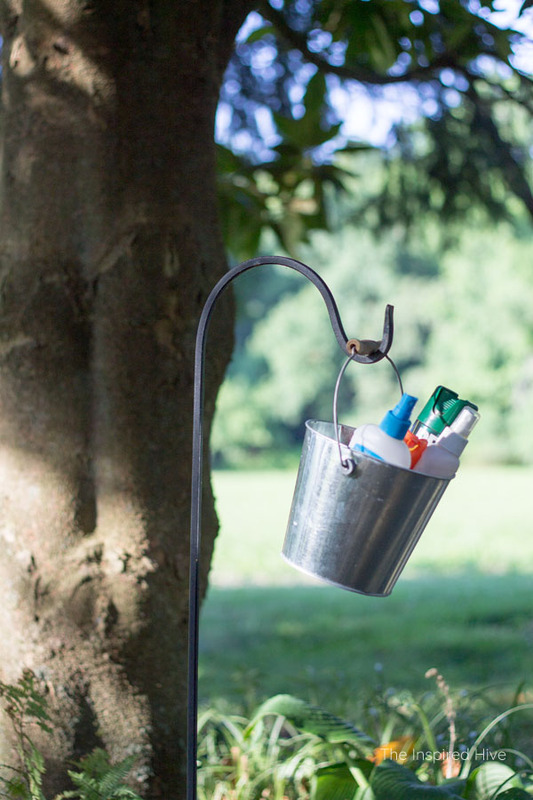 I also keep a bucket with a variety of bug sprays hanging on a garden hook so that guests can feel free to further protect themselves. Be sure to stock some kid-friendly or all natural sprays if you will have little ones around. Make hosting easy on yourself. A good host keeps an eye on things like bowls of chips or crackers, vegetable trays, dips, etc. and refills them as they get low. Guests never want to be the one to eat the last chip! So make sure they don't have to! 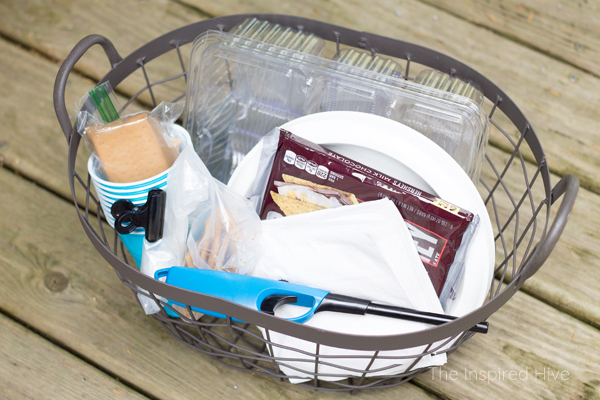 Keep a basket under your serving table that includes all of the extra food you will need, plus extra silverware, plates, napkins, etc. You'll be able to keep everything stocked without having to go back and forth into the house or feeling like you are missing out on all of the fun while you're inside looking for things. The basket might look like a hot mess, but its for your eyes only. Cover your table with a long table cloth and no one will see your supply basket hiding underneath! 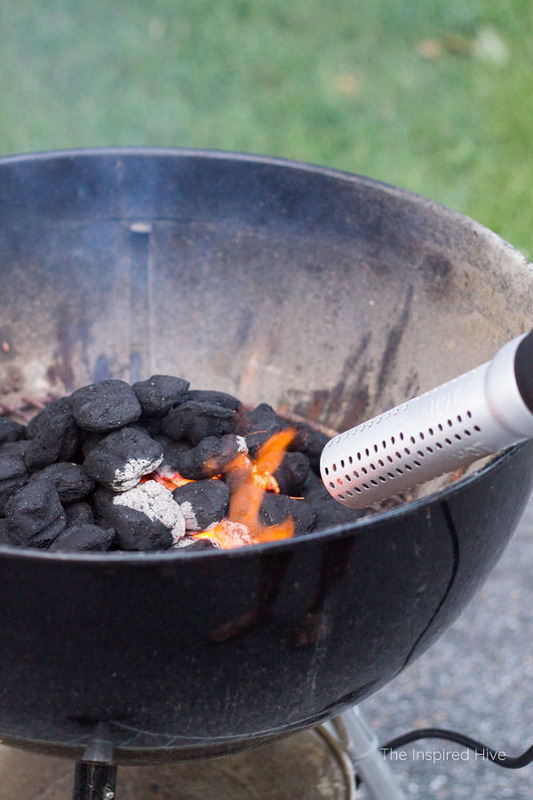 Save time lighting charcoal. If you prefer to not to use lighter fluid when cooking on a charcoal grill, it can take up valuable time waiting for the coals to be hot enough for cooking. 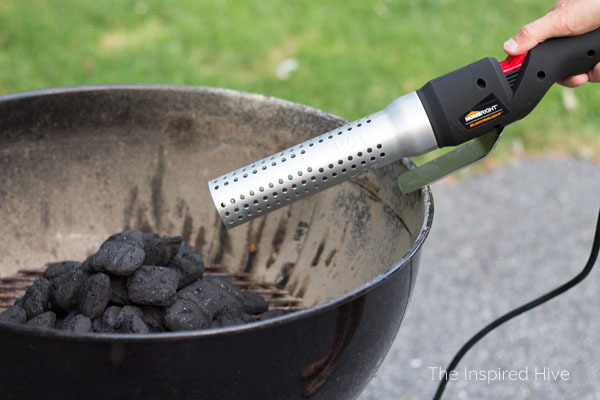 Instead of using a charcoal chimney, try the ElectroLight from HomeRight. Using high heat and a blower to fan the flame, it gets coals to the right temperature in just a few minutes without chemicals or waiting forever! Play some yard games. Mingling is even more fun when you have some games going on! 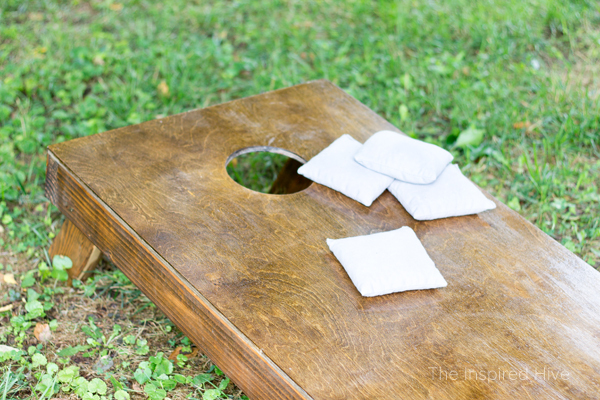 We like to set up our corn hole boards or horse shoes, but the possibilities are endless! Prep a fire for some delicious dessert. I know I'm not the only adult who loves smores! 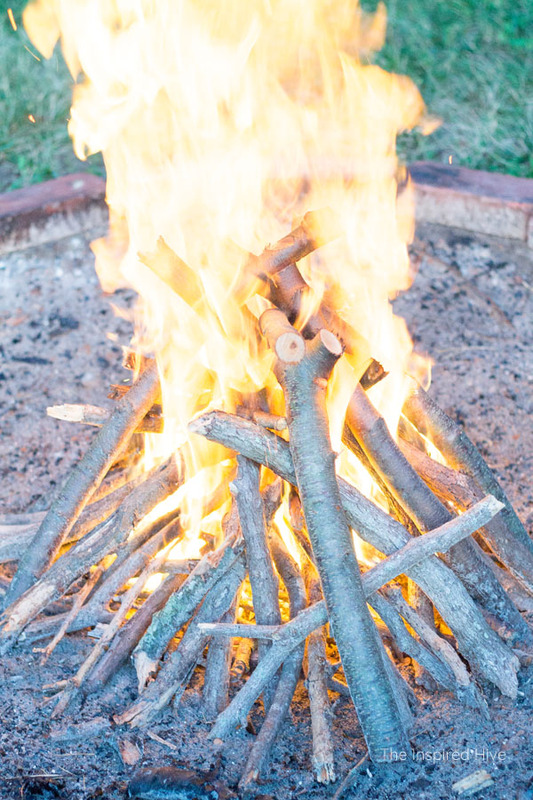 If you have a firepit or designated bonfire area, set up all of your firewood ahead of time. 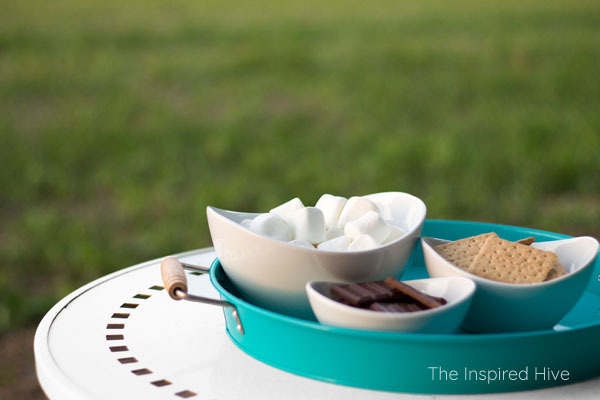 Prepare a tray for smores and leave it inside so the chocolate and marshmallows don't melt. 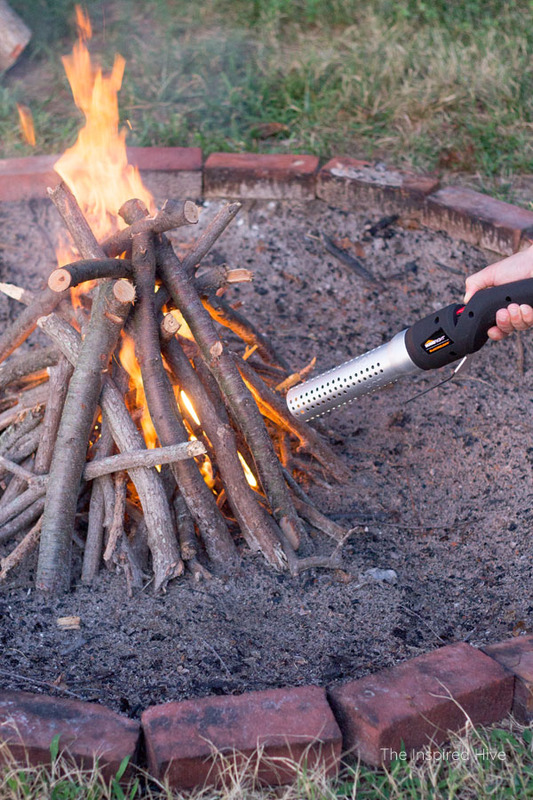 Use the ElectroLight to get your fire going quickly. Once the fire is roaring, just grab the tray and bring it outside. 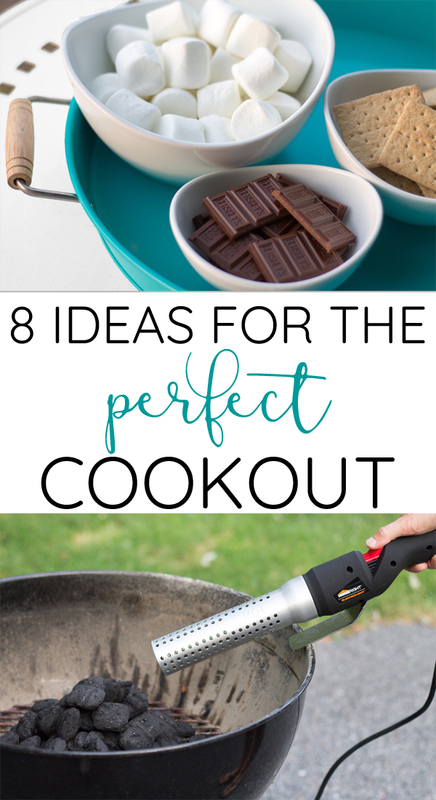 Don't forget the roasting sticks! 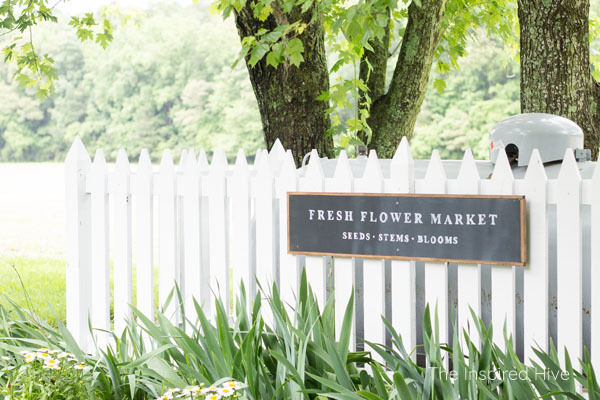 Have any more outdoor hosting tips to add? Let me know in a comment below!